Yesterday was an unexpected beer filled adventure. Casey and I managed to start the morning with a three mile run, but only because we knew we needed to earn our calories before heading over to Metropolitan for a great brunch. We didn’t plan to have any beers but that was before Metropolitan put Terrapin Moo-Hoo on tap! Terrapin is one of the things we both miss from our years in Georgia, and Moo-Hoo is one of the best that Terrapin has to offer. 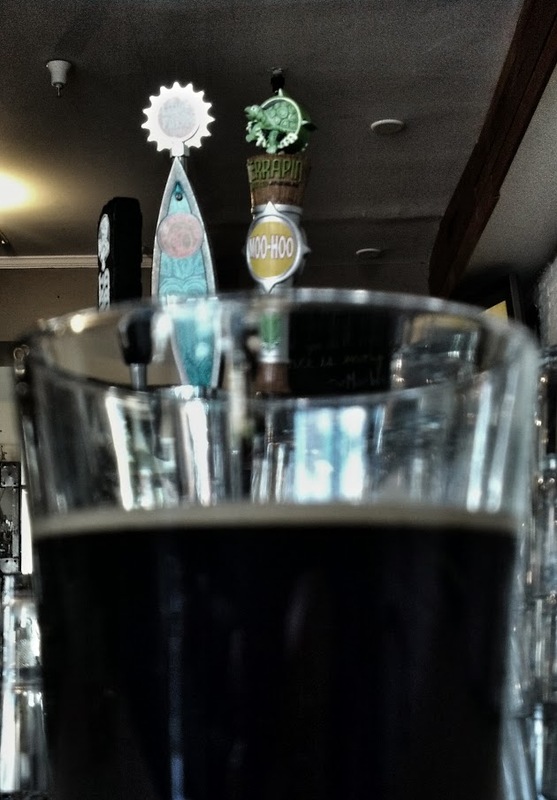 And besides, what goes better with brunch than a chocolate milk stout? Moo-Hoo gets some of its dark chocolate flavors from chocolate barley and roasted barley, but mostly from actual cocoa nibs that are added to the beer. The sweetness and the creaminess come from lactose, or milk sugar, which is a type of sugar that the yeast cannot ferment. So Moo-Hoo comes out very chocolaty, very creamy, and slightly sweet. It is a perfect beer for a cold day. 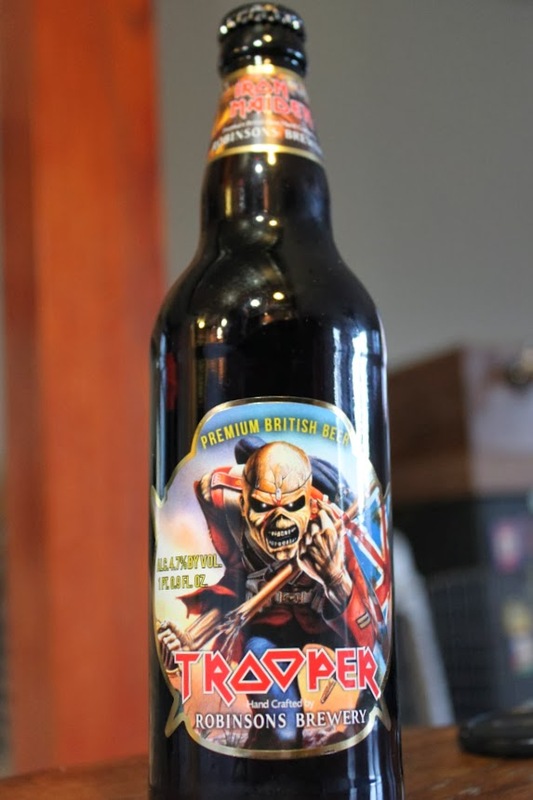 Steve Harris will punch you in the face every time you don’t buy this beer. We were going to head home after Metropolitan but then I was reminded that Annebeth’s has a small stash of the Iron Maiden Trooper themed British Bitter. I haven’t heard much about the beer itself but sometimes I’m a sucker for marketing and 80s metal bands. Of course we also ended up walking out with a Belgian Ode Geuze, and a Barrel Aged Scotch Silly. Because how can you limit yourself to just one bottle with such a great selection of delicious and hard to find beers? Of course Galway Bay is across the street from Annebeth’s and I had been meaning to stop in and talk to the craft beer manager Sean. Galway Bay’s craft beer selection has been increasing in quality for several months now and Sean is who we all have to thank for that. 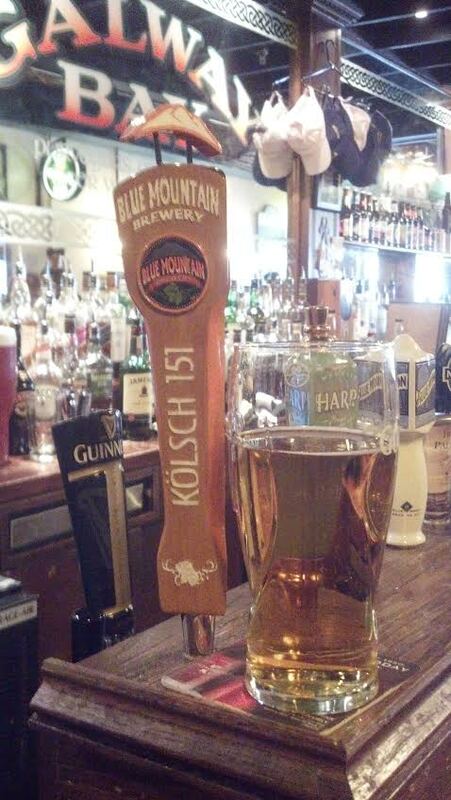 So we had a Kölsch from Blue Mountain Brewery, which is a German style of beer that is technically an ale but then aged at colder temperatures like a lager. It’s a specialty of the region around Köln (Cologne), and Blue Mountain definitely hit the nail on the head when creating this beer. On our way home we remembered that we were having dinner with Keith and Lindsey and didn’t want to show up empty handed. 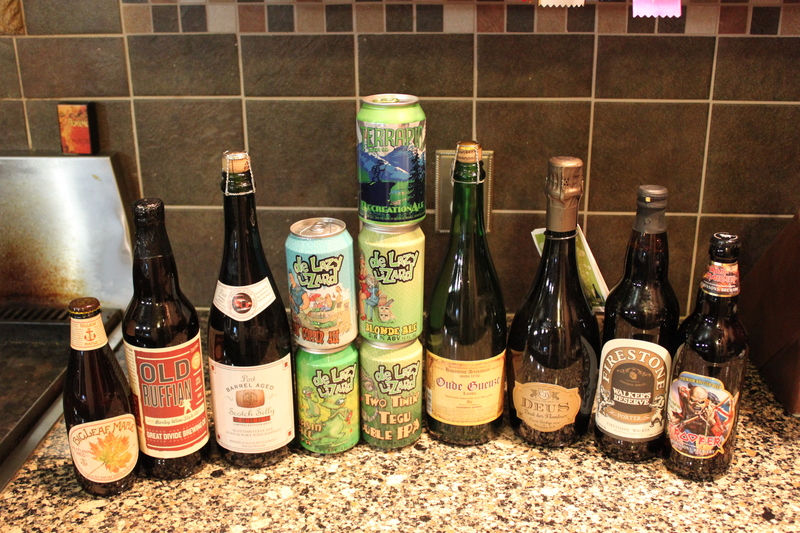 So then we headed to Mills Fine Wine & Spirits to pick up even more beer that we never planned to buy! Keith is a homebrewer, and when we got to their house Keith poured up his pumpkin beer from the fall that had developed some great spicy flavors. Lindsey, is the same Lindsey that made the incredible Stout Ice Cream that I wrote about a few months ago, and for dessert she scooped us up her latest creation, an ice cream made with Citra hops! Citra is a hop that was released in 2007 and has become very popular because of the unique tropical fruit and citrus flavors/aromas that it gives to a beer. It’s a central ingredient to some excellent beers that focus on floral and fruity hops such as Zombie Dust IPA or Kona Big Wave Golden Ale. She is still tweaking this ice cream, but expect her to post an excellent recipe on her blog Scoop Adventures. So our Saturday turned into a beer adventure that we never planned and never expected. But this is what is so great about Annapolis, and why Annapolis is poised to become a great beer town. This never would have happened it we had to drive everywhere. Annapolis is a beautiful and walkable town with some great beer options that keep getting better.